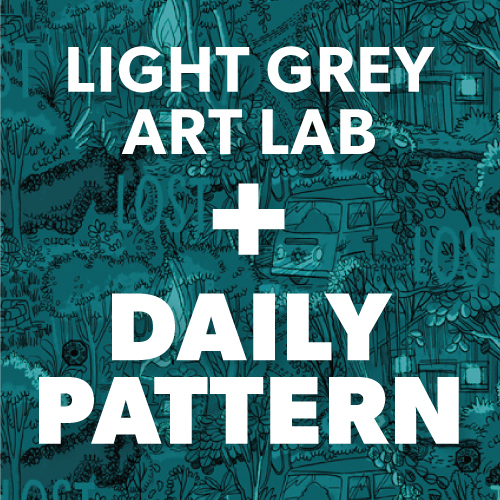 LIGHT GREY ART LAB: Light Grey Art Lab + Daily Pattern! 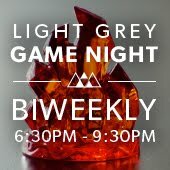 We have some exciting news this week! First off I'd like to say we're doing great with our Light Grey Art Lab Kickstarter Project, and appreciate everyone who's contributed thus far, but we've still got a long way to go, and we need a big boost! So we're going to have a series of limited, exclusive prizes to get some new people to contribute ASAP! I'm pleased to announce our very special 'Daily Pattern' reward tier! For the next week, anyone who donates $40* dollars or more to our Light Grey Art Lab Kickstarter Project will get to choose a Daily Pattern topic and have a Daily Pattern made just for them! All of us at Paper Bicycle and Light Grey Art Lab really want to hit our goal of $10,000 (remember, if we don't hit the goal, we get nothing!! ), so we wanted to do something super special to get you to contribute! In addition to your own, personalized pattern, you get a special 'thank you' shout-out when it's posted on the blog! And you get a high-res file to use as you'd like! ** Print it out and frame it! Use it to make wedding invites! Print out fabric and make a quilt! Make it a background on your blog or twitter page! Print out wrapping paper to wrap presents for your mom! It's totally up to you! This is a very limited offer, both in quantity and time! 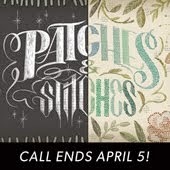 We're only doing 50 custom patterns and when they're gone, they're gone! Starting as of right this second, you have until Sunday, April 2nd to reserve your pattern! Please hurry over to our Kickstarter page and contribute now! Then you can have your own special Daily Pattern to impress your friends with! *If you'd like to donate more than $40 and still receive the custom Daily Pattern, please email chris(at)paperbicycle.com to arrange it. We'd be more than happy to oblige! **These Daily Patterns are for non-commercial use only. Once the Kickstarter campaign wraps up, we will contact you about what pattern topic you'd like. We will begin making the patterns at the close of our Kickstarter campaign, doing at least one per day, so please be patient until we get to yours. 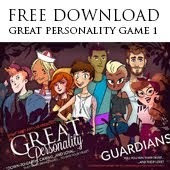 ***This is a Limited Time Offer to entice new contributors. This reward does not apply to previous contributors.